The way you sound is as vital to your presentation skills as the words you use and the way you look. 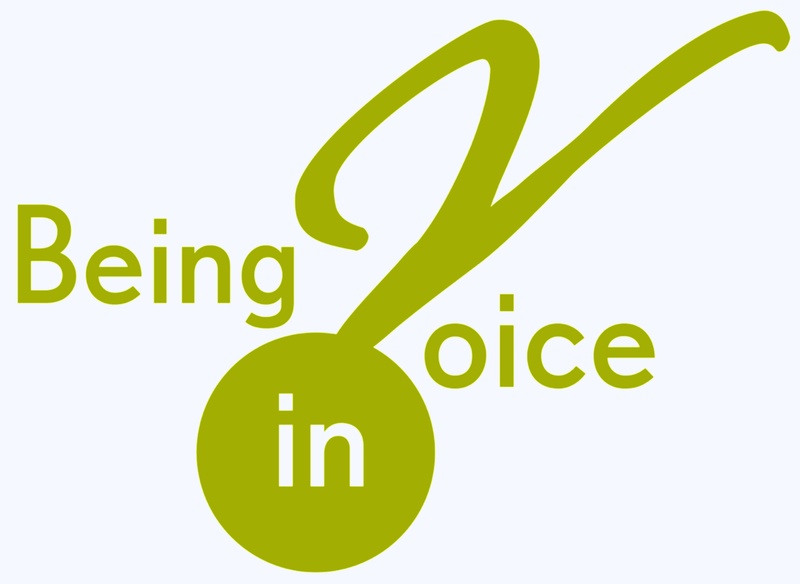 Being in Voice offers personalised voice coaching and speech training to suit your style, your time and your budget. These training programs are available as private or group sessions with Flloyd Kennedy in person, and online by Skype. Contact Flloyd for details. What does your voice say about you and how does it affect your life? On the phone, in the classroom, the boardroom, the seminar, the media interview, in court and on stage, how you sound has more impact than the words you choose! Find personal empowerment in your voice – toned up, fluent and free. Vocal training puts you on the road to vocal health as you develop flexibility, colour and power. Learn the short sharp Vocal Maintenance program, adapted from the work of Dr Joseph Stemple and other world class voice science experts. This is a short program designed to warm up your voice safely, sponsoring and maintaining healthy vocal practice. You will be able to use this program after one session with Flloyd, who will explain the process, how it works and why it is necessary for your vocal health. Building on the Vocal Maintenance Exercises, this program will help you to GROW your voice, extending your range, power and vocal flexibility. If you use your voice professionally, you will find these exercises and vocal techniques helpful in developing your sense of ease in your own voice, as you become more skilful in engaging your whole body in the process. As your voice grows, so your confidence grows. Contact Flloyd for details. If you would like to acquire a new accent, or a particular dialect for a role, a specialised program of listening and learning can be arranged. Developing a different accent involves training the speaking muscles to behave in different ways, and this training takes time. Whenever possible, allow yourself several months to acquire a new accent. If English is not your mother tongue, and you would like to modify your own accent to be more clearly understood by native English speakers, perhaps to enhance your employment prospects, the Vocal Maintenance and Vocal Empowerment Programs will enable you to begin the process of re-training your speaking muscles. Then, a personalised program of exercises will assist you to speak English with clarity and confidence. Contact Flloyd for details. An accent is simply the way you express yourself through language. There is no such thing as a ‘good’ or a ‘bad’ accent. The accent depends upon where and how the speaker learnt the language (for example: from birth, growing up in a particular family, social and geographic community, or as a second language at school or college). Anyone can learn how to speak in their own accent more clearly, more intelligibly and more skilfully. If you’d like to improve your ability to speak clearly in your own accent, or acquire more understanding about the pronunciation and speech patterns of English, or if you need to learn how to use a different accent to play a role in a play or film, I can help you to acquire the necessary skills to do this. If you are producing a play or film that requires specific accents or dialects, I can train your performing artists to develop the skills they will need. Contact me to discuss your requirements, and to arrange for some coaching. Certified Teacher, Knight Thompson Speechworks. A dialect is not quite the same thing as an accent. A dialect includes the speaker’s accent, but also involves how the words are phrased, how the grammar and the vocabulary make that speaking community differ from their neighbours. Thus, for example, Ayrshire Scots is both an accent and a dialect, because in that part of Scotland the speakers use some different words, as well as pronouncing certain words quite differently and using word order in ways that are not the same as in other parts of the English speaking world.